After graduating with a double major in Biochemistry and Genetics from Ohio Wesleyan University, Siddhi undertook and completed her degree in law from Government Law College in 2009. She has worked at ALMT Legal since 2007, where she started out as paralegal and was then absorbed as an associate in 2009. Her main area of practice include Corporate & Commercial laws, Private Equity, Mergers and Acquisitions and Intellectual Property Rights. Siddhi's M&A and corporate practice is mainly focused on transactional work for domestic and international private equity funds and multinational companies. 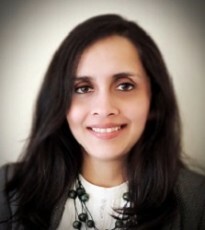 As a part of her Merger & Acquisition and corporate practice Siddhi has had substantial transactional involvement in numerous industries and has been actively involved in, and has extensive experience in drafting, negotiating and advising clients on complex cross border transactions involving foreign exchange regulations, industry specific legislations and restructuring startigies. She has substantial amount of experience in excahnge control regulations/laws, including dealing with regulatory bodies in this regard. Her expertise lies in drafting and negotiating transaction documents such as share purchase/subscription agreements, commercial contracts, turnkey contracts and licensing and assignment agreements. Her IP practice extends to advising clients on copyrights, trade mark, design and patent matters and prosecuting applications for copyrights and trade marks. Siddhi has been associated with ALMT for over 8 years and has been praised for her "attention to detail" and abilty to "quickly evaluate various scenarios". Advised a leading Indian pharmaceutical company in its transition between private equity investors. Advised a leading Indian pharmaceutical company in its acquisitions of pharmaceutical companies in the United Kingdom, Canada and Germany. Advised several venture capital and private equity funds in their investments in various companies in the business of retail trading, manufacturing, renewable energy, information technology, real estate, health care, cash mangement services and pharmaceuticals. Advised a group of companies with several entities in India, inlcuded a listed company in their corporate restructuring. Advised the promoters of company in the business of running a chain of multiplexes in the sale of their entire shareholding in the company to one of the world's largest owner of multiplexes. Advised an Indian company in setting up a joint venture with German technology innovator in renewable energy sector. Advised a multi-national chemical manufacturing company in its turn-key projects for setting up manufacturing facilities etc. Advised on winding up & restructuring of Indain companies.